Running is a complex and dynamic activity that places significant stress on the body. A specific assessment of your biomechanics whilst running can provide invaluable information about the cause of your symptoms, and provide explanations for your pain. We are experienced in running technique assessment, and how your running technique impacts on your body. 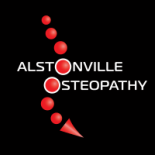 Our detailed video analysis will enable us to provide an overview of your running and from this video your osteopath is then able to perform specific isolated tests to further investigate potential areas of weakness, tightness or overload. Our running assessments are often utilised as part of an injury rehabilitation plan, however a running assessment is also a valuable tool to help you enhance performance and remain injury free.